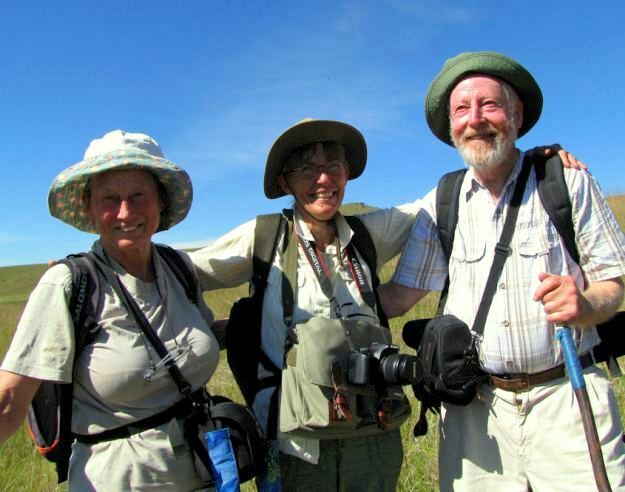 Over the years Boston residents have learned that it was not good enough simply to mention an interesting sighting in passing to David, especially when it came to all three crane species and Southern Ground-Hornbills. 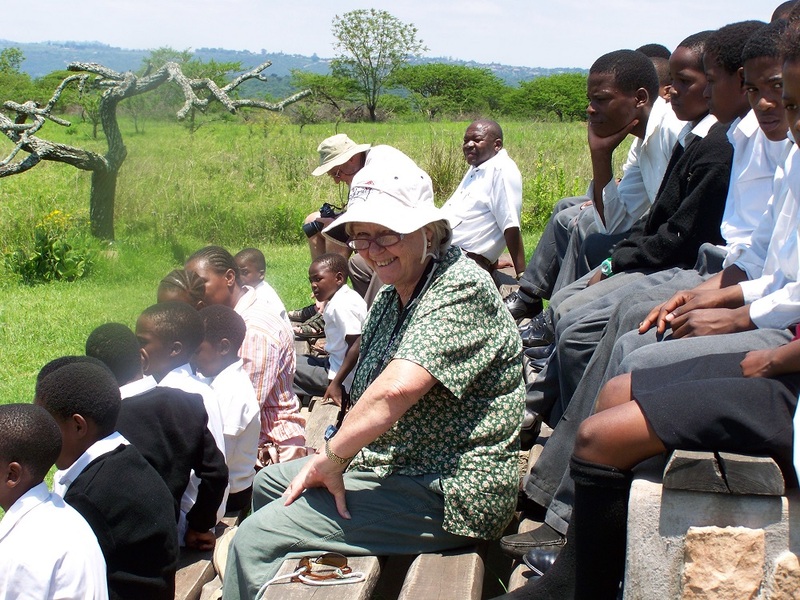 During the 20 years or so that the Clulows lived in Boston they took an active part in community life and David was a leader in the Conservancy since its inception. 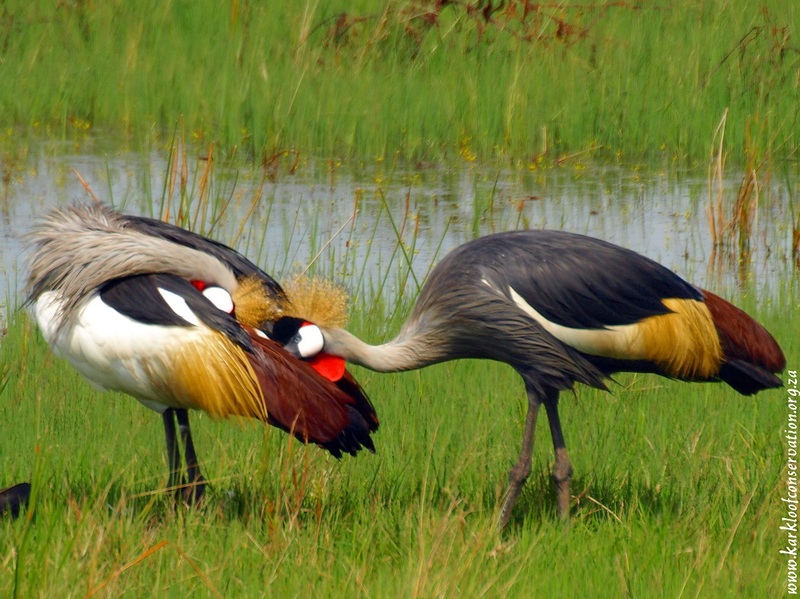 There has been a pair of Grey Crowned Cranes nesting in the pan adjacent to the Elands River on The Willows for many years. 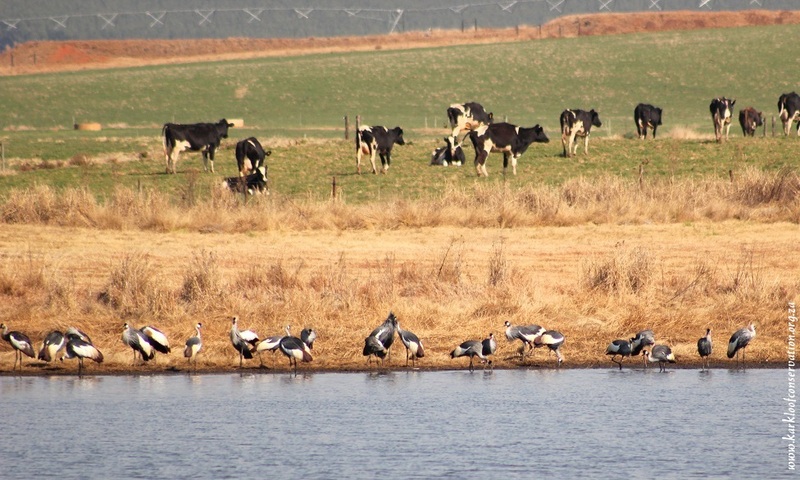 He began monitoring their breeding, which he recorded for the African Crane Conservation Programme of the Endangered Wildlife Trust (EWT), as well as other crane sightings in the district. In 2011, his efforts were acknowledged when he was made a crane custodian. In February 2012 David called to say their neighbour on the other side wanted him to come and look at a strange bird on her lawn. 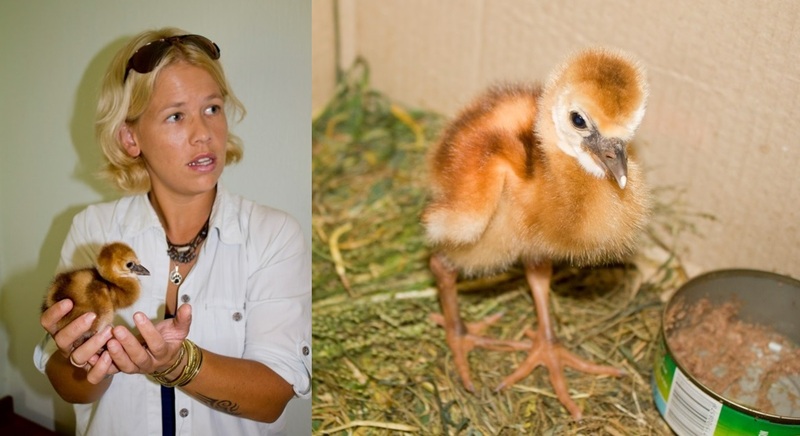 When we got there, we found a day-old crane chick, which had somehow made its way from the nesting site through thick vegetation into the garden. David took the chick home overnight, feeding it ProNutro (chocolate flavour!). 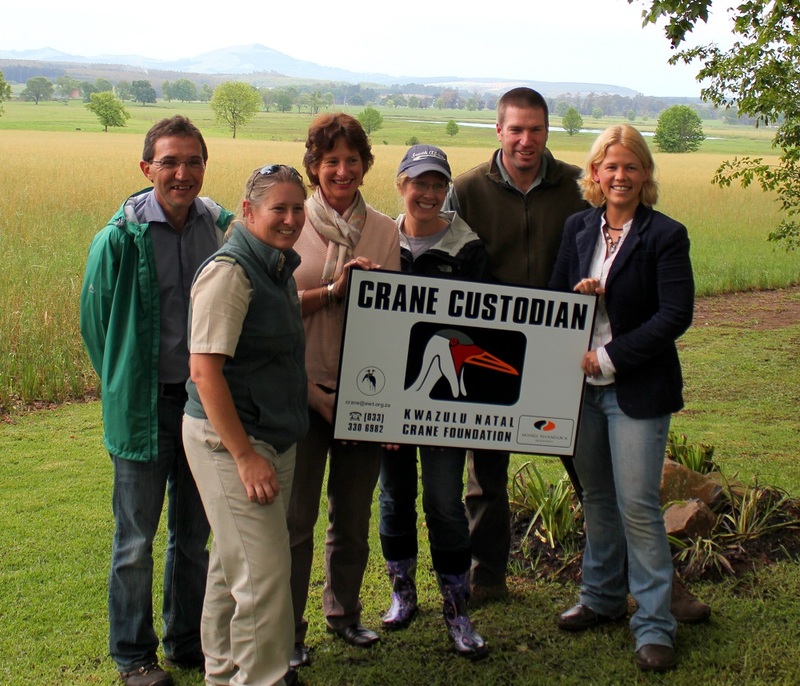 Tanya Smith of the EWT collected the bird the next morning and “Bossy-Boston” is now living at the Hlatikulu Crane Centre. 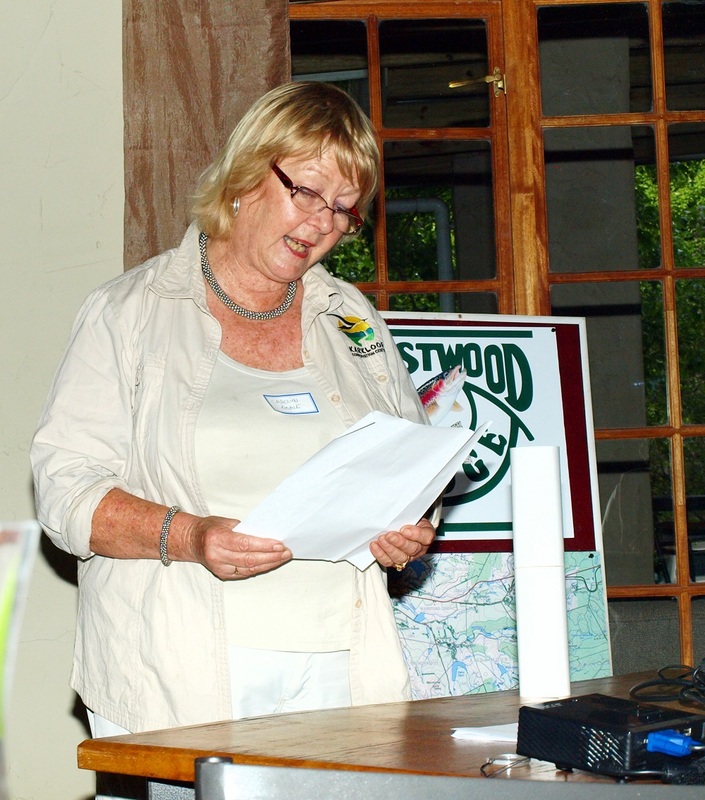 It was David’s idea to extend the listing of sightings on a monthly basis to all fauna and flora– an idea that was later adopted by the Midlands Conservancies Forum. When the Boston Conservancy ceased to operate on a formal basis in about 2008, David began compiling a list of sightings which he distributed to the locals. He would keep an ear out at gatherings at the Country Club or elsewhere for any interesting snippets. 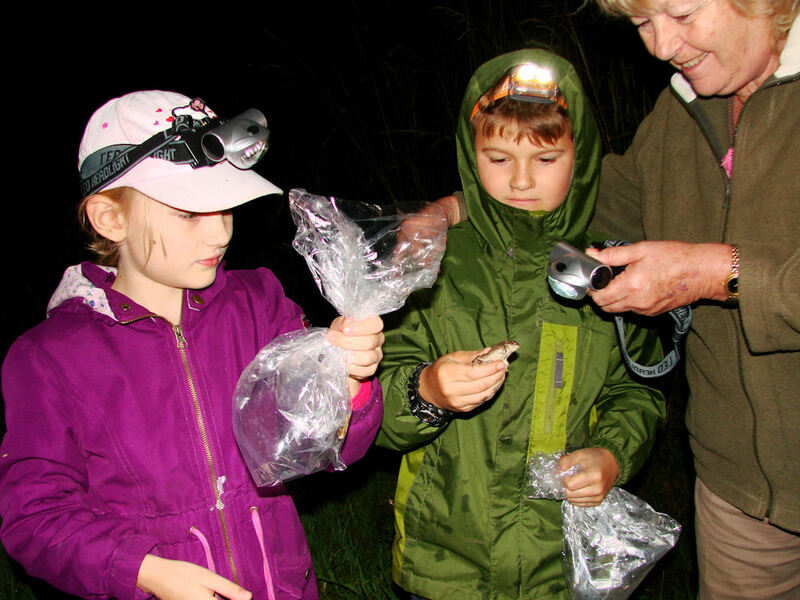 We firmly believe that David’s gentle badgering of people for their observations had led to an increased interest in the environment and a greater awareness of the need for the conservation of special areas. 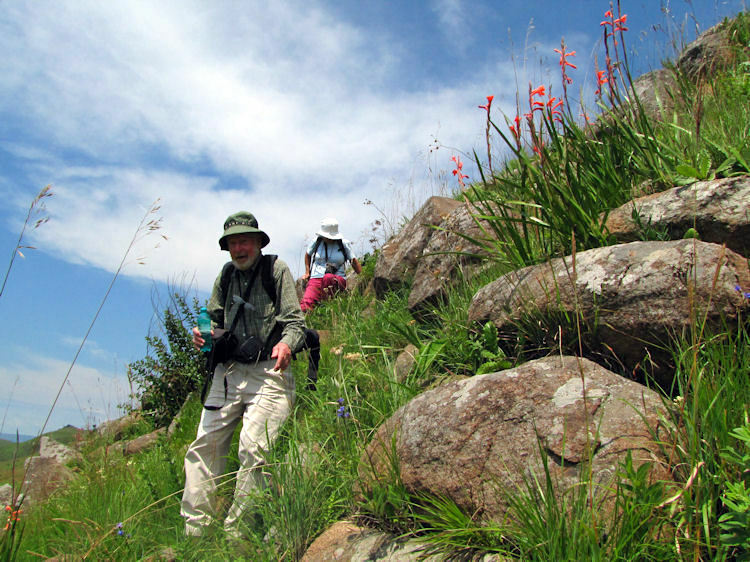 After retiring for the second time (first as a professor of accountancy, and then from dairy farming) he and Barbara spent more time pursuing their interest in wildflowers, and many happy hours were spent in the veld looking at plants and recording them for the South African National Biodiversity Institute (SANBI) and Custodians of Rare and Endangered Wildflowers (CREW). 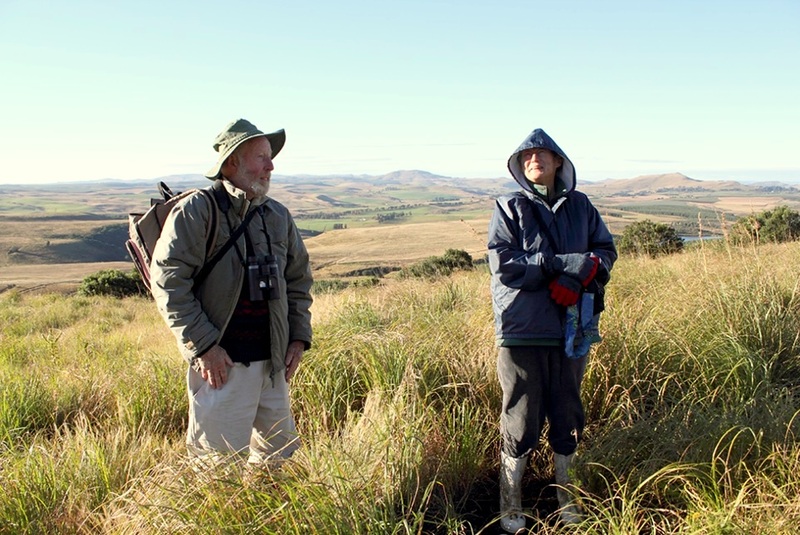 He began accompanying me on outings to do atlasing for the Southern African Bird Atlas Project (SABAP2) and soon became hooked on birding. The Clulows and I had several adventures while exploring the areas between Boston and Bulwer, one involving a flat tyre which might be better not to repeat here. There are still a few pentads with a lack of data that we were planning to tackle soon. I don’t relish the prospect of doing it on my own. 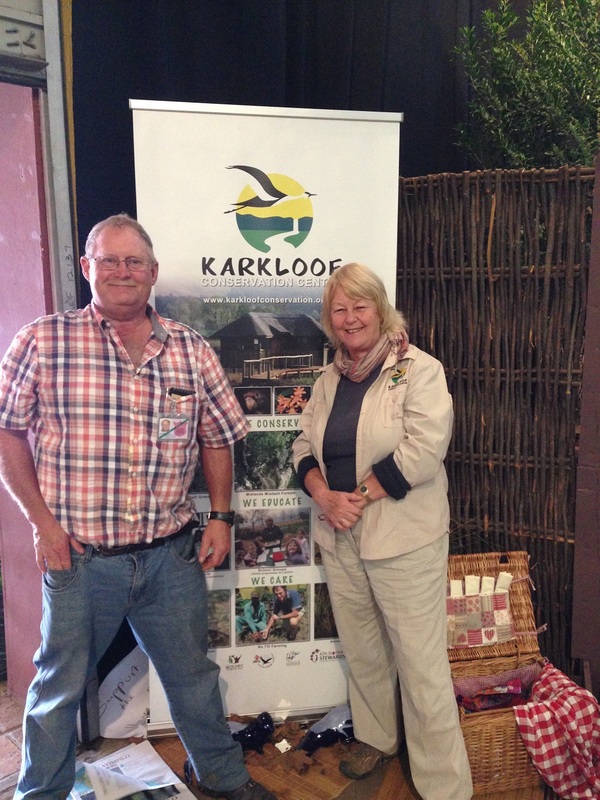 We also took part in the annual Cape Parrot count in the Boston area for the University of KZN. Sadly, on the last two counts we did, there were no parrots to report. On a personal level I treasure the friendship between the Clulow and Wilson families over many years as neighbours. We received support and encouragement in many ways. 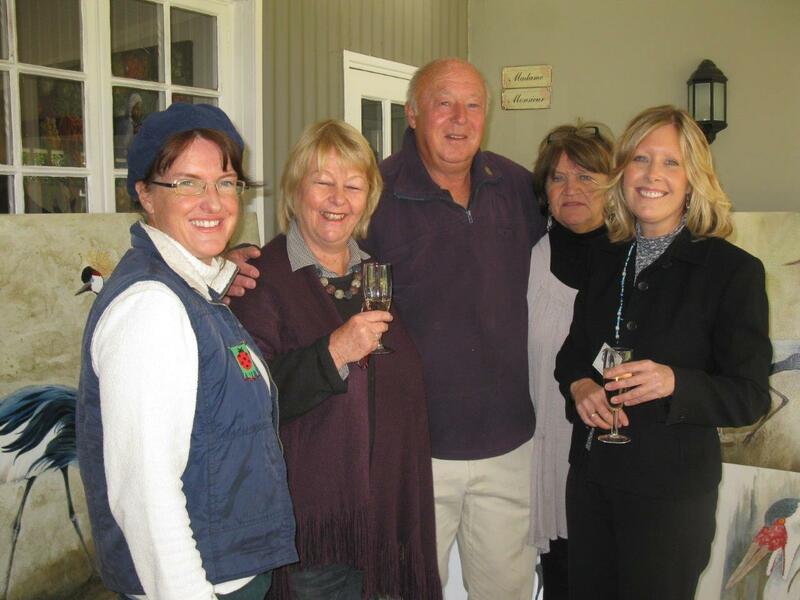 I admired David’s enthusiasm for life, strong belief in justice and sharp sense of humour. He will be sorely missed. David Arthur Clulow, 2.10.37 to 28.10.2015. 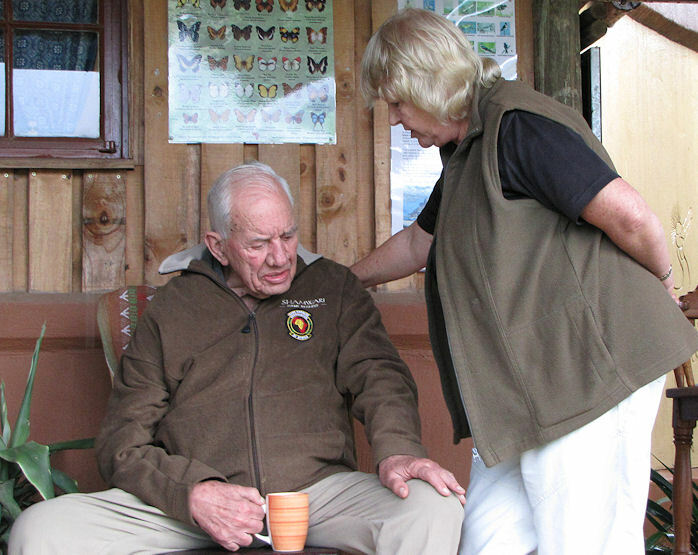 Husband of Barbara, father of Alistair and Megan, Suzie and Jared, much loved gramps of Noah, Fynn, Hannah and Nathan, brother of Jean and Sheila, passed away peacefully. 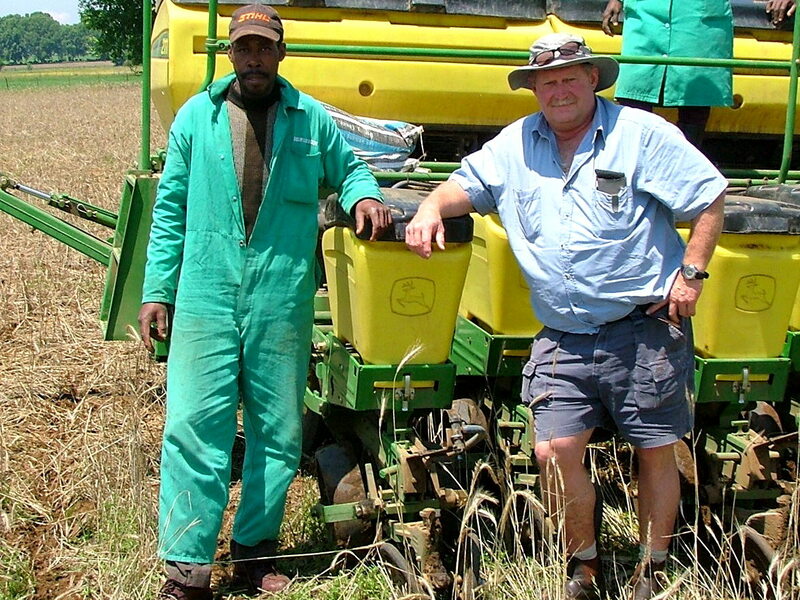 Memorial service at Gramarye, Farm 309 on the Everglades Rd, Boston, at 14h00 on Thursday 5 November. 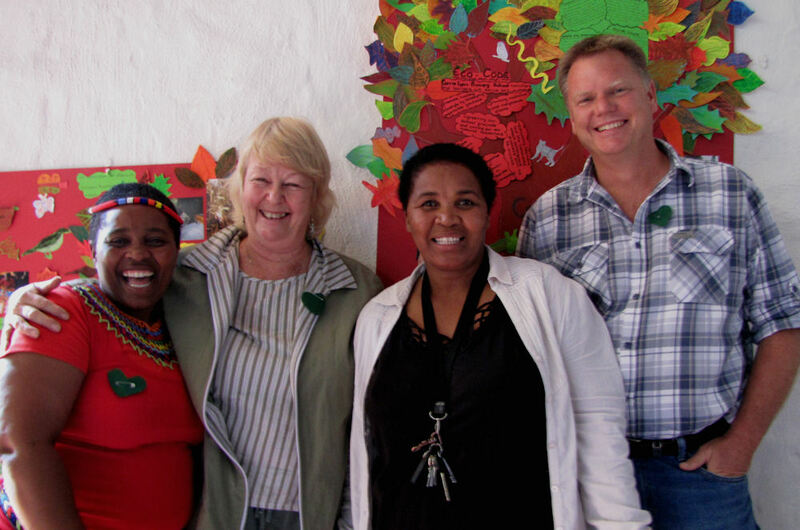 Open house at Clulow home in Amber Ridge on 11 November, 10h30 – 16h00. 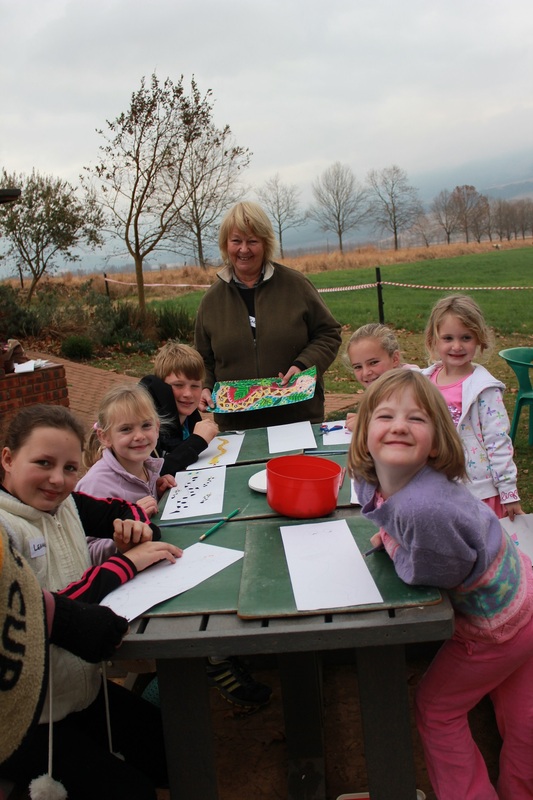 In lieu of flowers suggest donations to the Endangered Wildlife Trust. 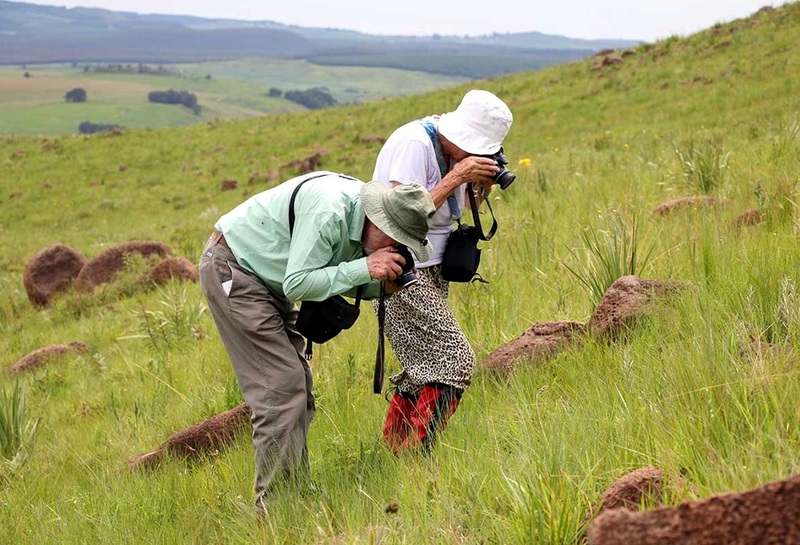 This entry was posted in Environmental Leaders, KZN Midlands Wildlife and tagged bossy boston, Boston, Boston Cape Parrots, Boston Conservancy, crane custodian, cranes, CREW, custodianship, david clulow, Endangered Wildflowers, endangered wildlife trust, wildflowers on November 4, 2015 by Midlands Conservancies Forum. 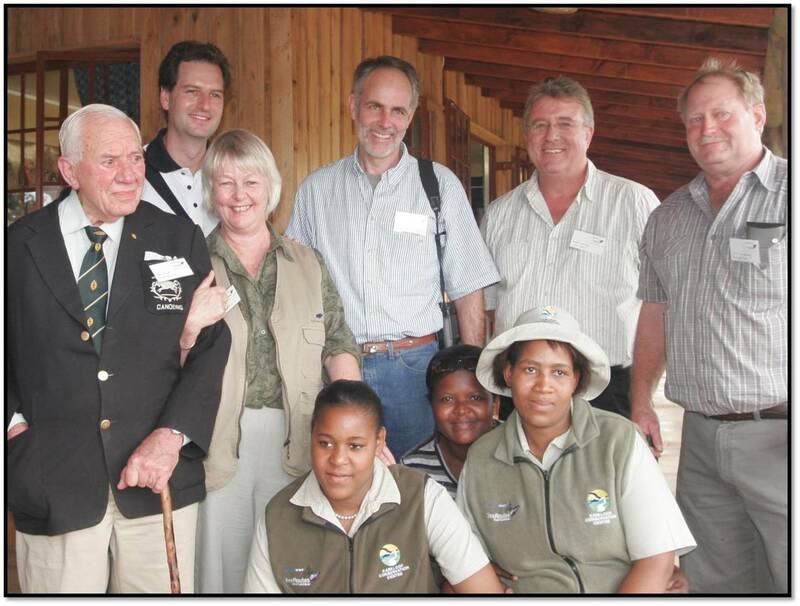 Article from the KZN Crane Foundation‘s Summer Newsletter and written by Charlie MacGillivray, Chairman of the Karkloof Conservancy and KZNCF Committee Member. 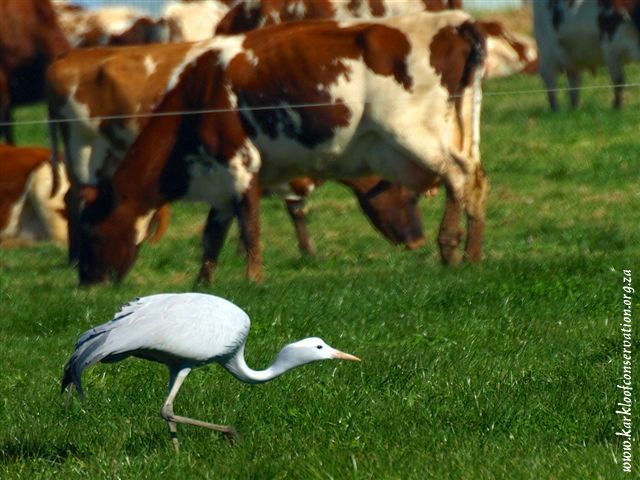 For many Farmers, there is a very real sense of pride and more importantly “ownership” of the flocks of some, or in fact where fortunate, all three of these stately birds occur. This privilege is often recognised by Custodian signs and ought to be regarded as a fulfilment of symbiotic co-existence and success. 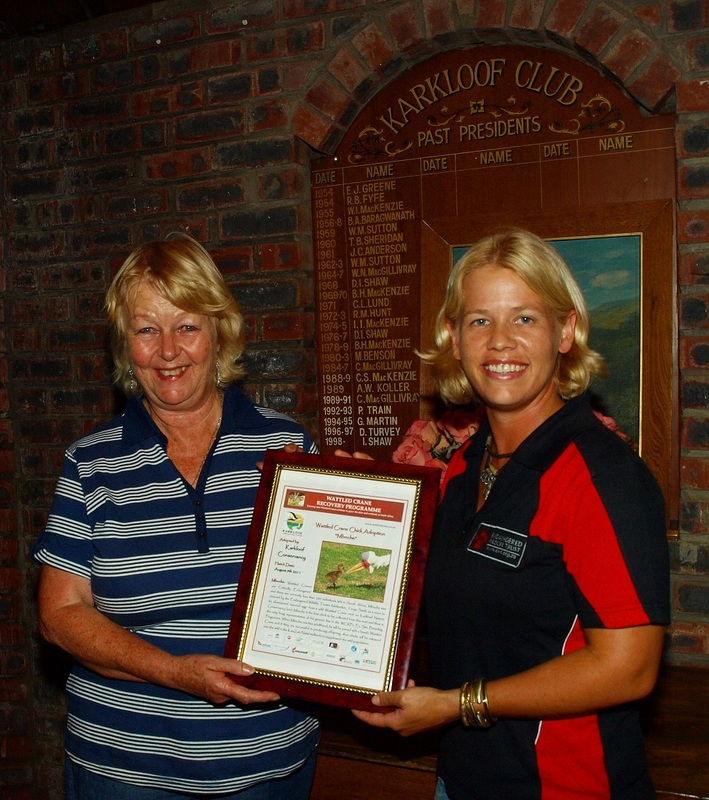 Many farmers in the Karkloof are recognised as Crane Custodians. Cranes are truly magnificent birds and beautiful to behold. 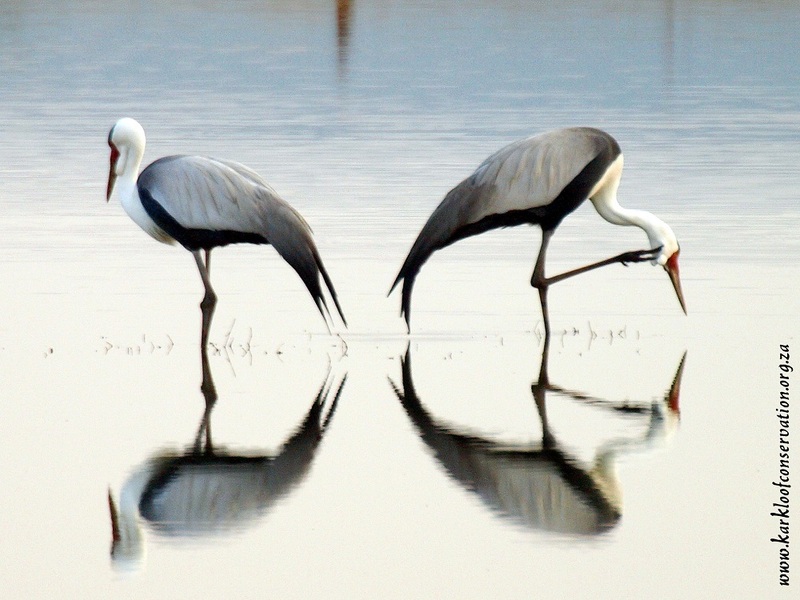 They depict humour in their behaviour, grace in flight and delight in song. The real thrill for me and I know for many landowners fortunate (thoughtful) enough to have these graceful inhabitants, is that with a little care and courtesy, there is room for ALL of us. Our yardstick being their continued proliferation, with increasing flock sizes in as many different localities as possible. 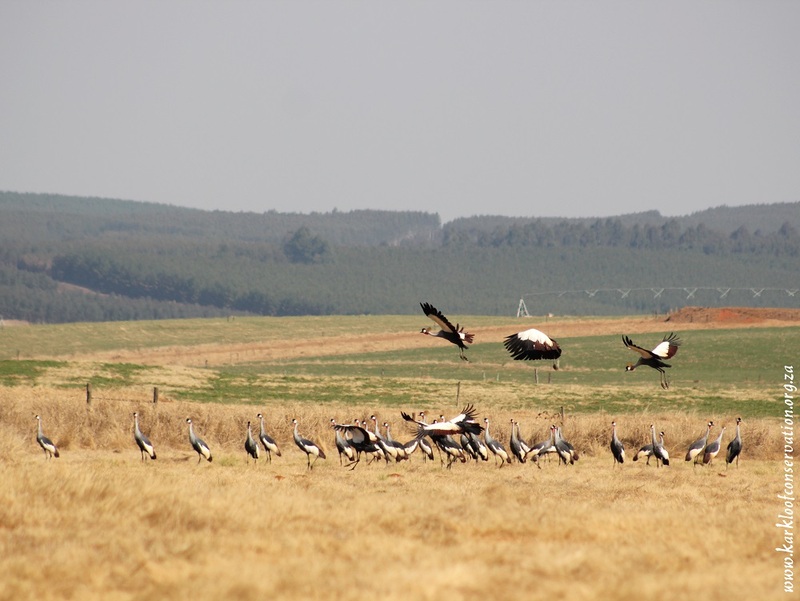 A large flock of about 50 to 60 Grey Crowned Cranes are often seen in the Karkloof. 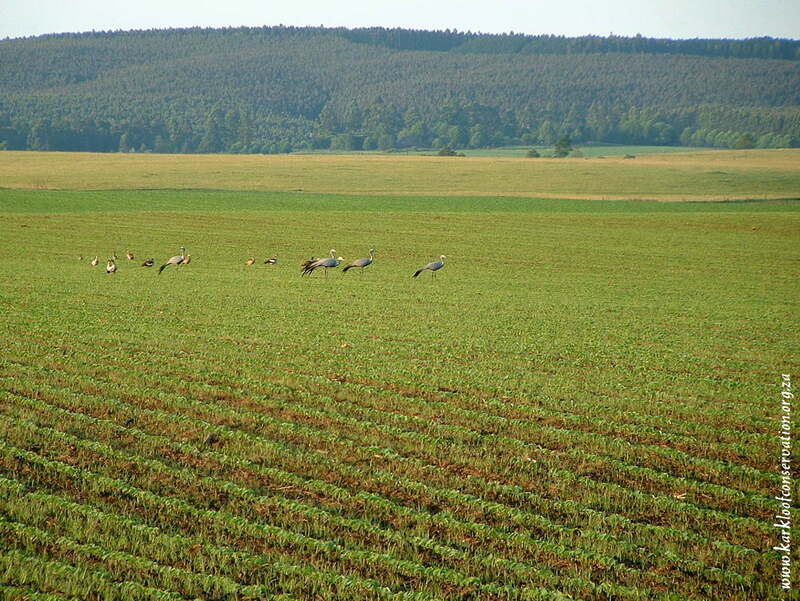 The real threat and the cause of the dire dearth of the flocks of yore, is because their ideal habitats have been transformed by agricultural (and lifestyle) use and in some cases misuse. 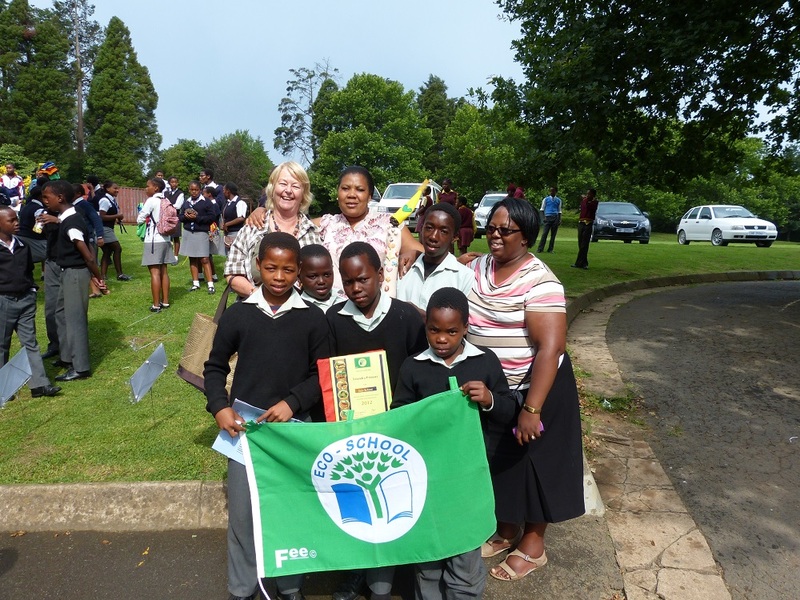 Here forestry is also seriously implicated. 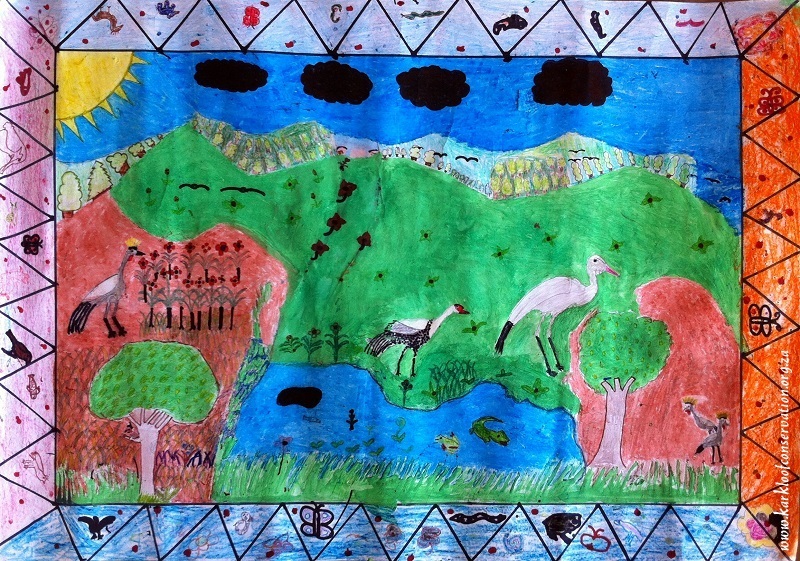 This delightful picture by the learners of Gartmore Primary School depicts the 3 crane species in an agricultural environment. We need to be more attuned to the dependence and interdependence of ALL components of our environment to ensure the integrity of bio-diversity. More emphasis on the primary organisms of our eco-systems, and the role played in ensuring sustainability further up the “food chain”. 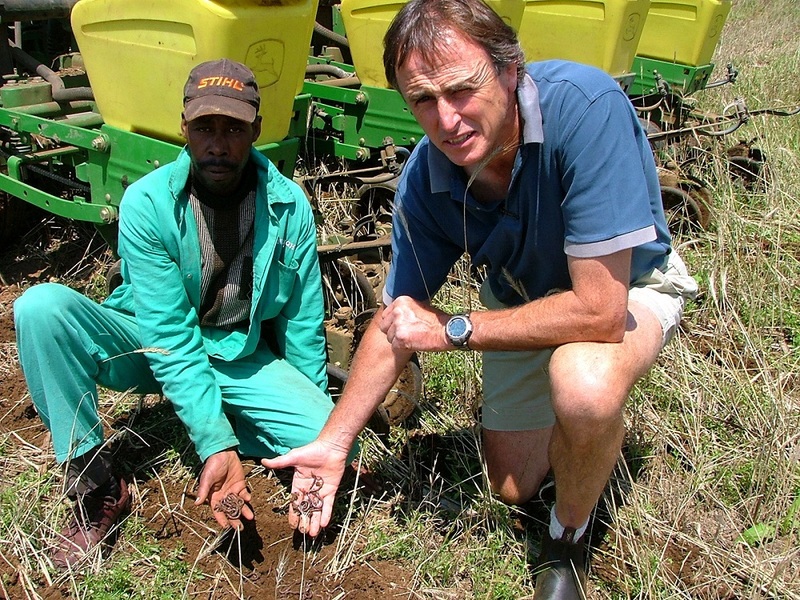 Earthworms are No-Till farmings greatest ally. 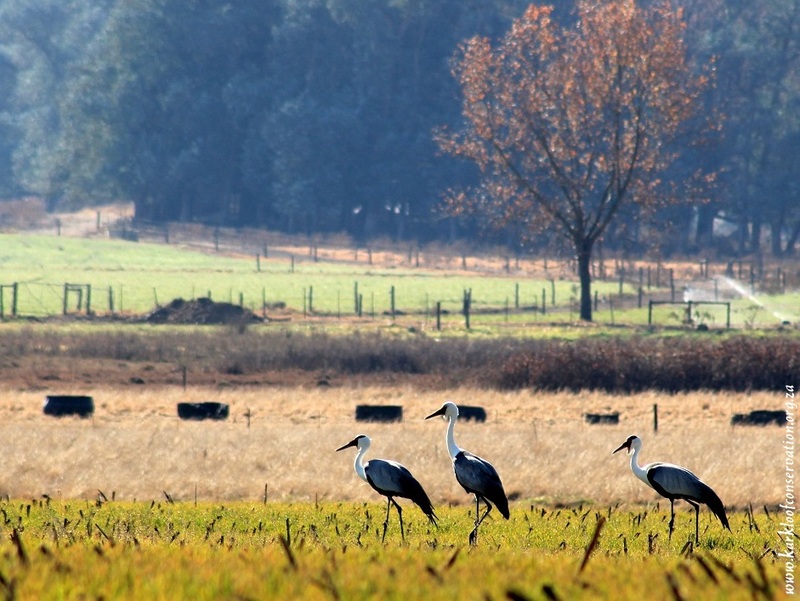 Landowners hold the trump card in the proliferation of our precious Cranes, and it is our role to help where there is some ignorance, encourage and assist where there is uncertainty, and to exercise influence on as many people as possible, to ensure the future of our threatened populations. The respective calls of the three Cranes serve as our commentary on the success of our endeavours, and should remain the highlight of any day. 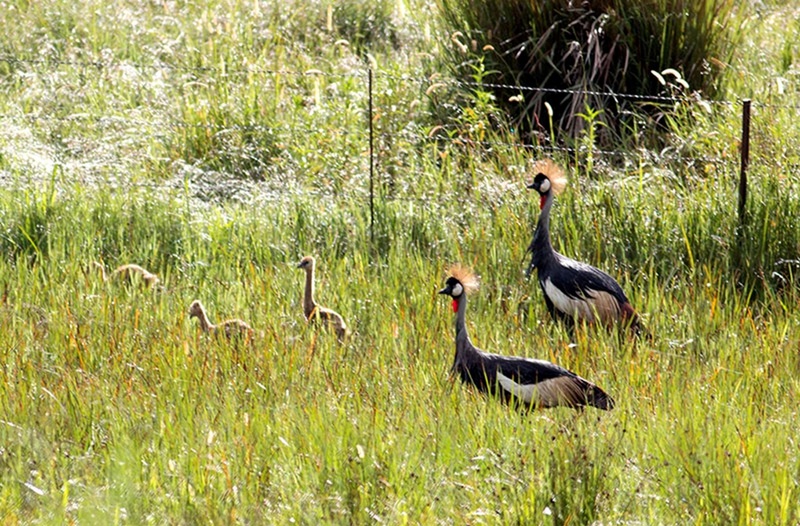 A pair of Wattled Cranes with their offspring on Gartmore Farm. 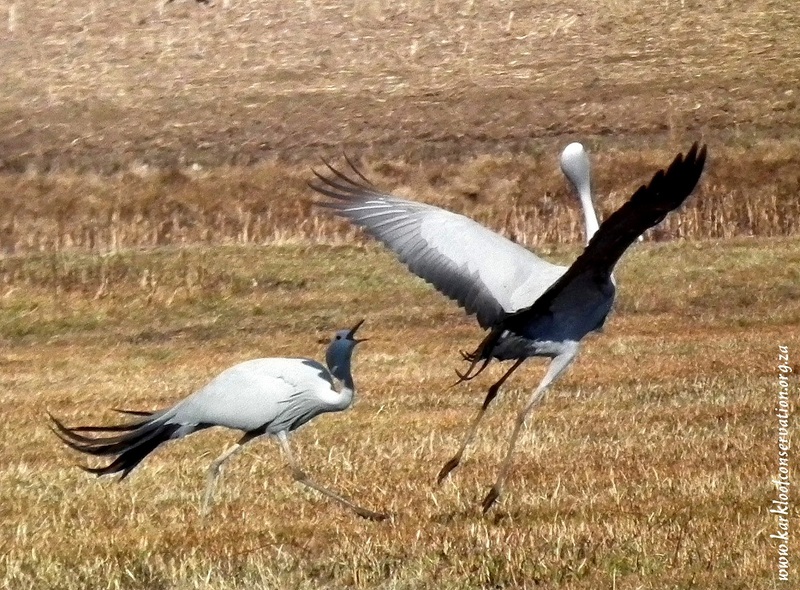 This entry was posted in Conservancy Action, Threatened Species and tagged blue crane, cranes, custodianship, farmers, grey crowned cranes, karkloof, KZN Crane Foundation, wattled crane on March 23, 2015 by Midlands Conservancies Forum.